24ft Fortress Mobile Cricket Cage with 6 heavy-duty wheels. 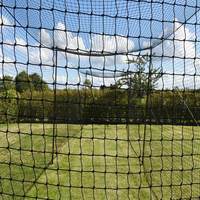 Easy-to-move, this high-quality & durable cricket cage features a galvanised steel frame with a 2mm HDPP Net. 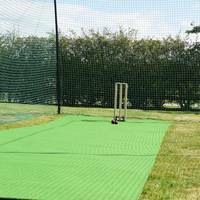 Manufactured from super strong 2.5mm galvanised steel, this freestanding cricket cage guarantees to perform for season after season. 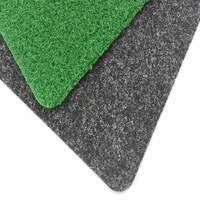 It also features a rot-proof net that is made from 2mm High Density Polypropylene (HDPP). Bringing a professional touch to your club, school or back garden, the Fortress Mobile Cricket Cage features 6 heavy-duty wheels attached to the base allowing you to easily move the cage wherever you like, adding excellent flexibility to your cricket training. 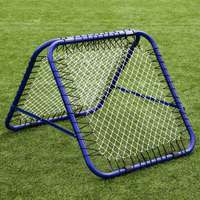 This portable cricket cage allows you to take your practice out to the middle. 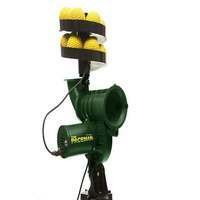 This will give your bowlers and batters excellent exposure to match-like pressures. 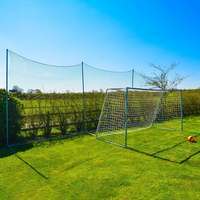 Once the training session is complete, simply wheel the cage off the pitch ready for your matches to begin. 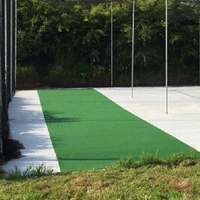 This world-class Fortress Mobile Cricket Cage will allow your batters and bowlers to experience match-like practice out in the middle thanks to it's exceptional portability. The high-quality steel structure, which comes with a rot proof HDPP net, features six heavy-duty, anti-tamper wheels, meaning you can move this freestanding cage just about anywhere. 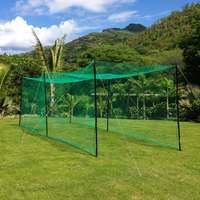 The 24ft x 10ft x 10ft netted cage will provide sufficient cover for a batsmen when out on the main wicket, allowing them to really go for their shots as if it was match, without the hassle of collecting your ball from the boundary every time you middle one. 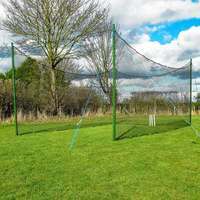 This freestanding cricket cage's simple design is extremely easy to assemble, and guarantees professional quality for multiple seasons at a time. 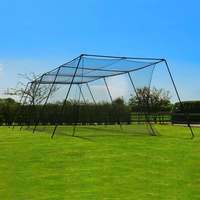 The 42mm OD frame underlines the calibre of product this cricket cage is, as it's been manufactured using 2.5mm thick steel, which has been galvanised to give it maximum protection against rust and corrosion. 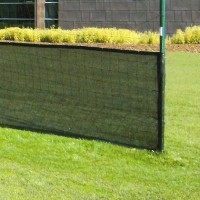 Matching the frame all the way when it comes to strength and durability, the net will never let you down. 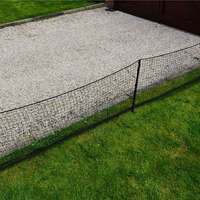 Crafted from 2mm High Density Polypropylene (HDPP), the net possesses fantastic weatherproof abilities thanks to its tough, UV stabilised design. 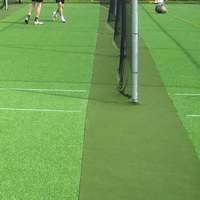 The 48mm square mesh will also effectively stop your cricket balls from travelling too far, no matter how hard you hit the ball. 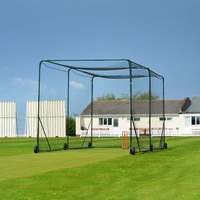 Not only is this cricket cage freestanding, it's fully portable too thanks to the 6 heavy-duty, anti- tamper wheels that come attached to the base of the frame. 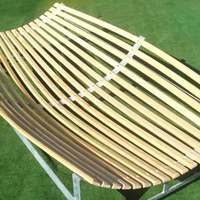 The durable wheels ensure you get excellent ground clearance when moving the cage, allowing you to use it on just about any surface. For batsmen and bowlers at the peak of their powers, there is no better practice than being out in the middle, either practicing your cover drives or making sure your line and length is on point, 6 balls at a time. 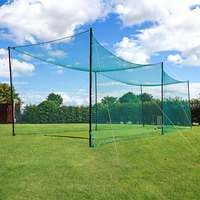 with this Fortress Mobile Cricket Cage in your set-up, you'll be sure to have the best cricket training set-up you could possibly wish for. 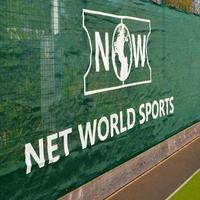 Net World Cricket supplies an extensive range of world-class cricket products designed to take players to the next level. 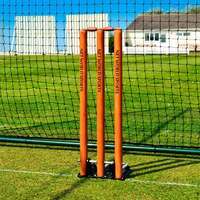 Whether you're a bowler looking to find their rhythm or a batsmen trying to bolster that defence, our cricket products are of the highest quality.